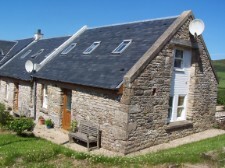 The Blacksmith’s Bothy, Hayshed and Ploughman’s Bothy each sleep 4 and are ideal for couples or small families. 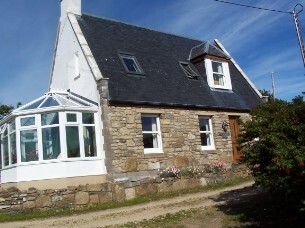 Lighthouses sleeps 7 or 8 and is popular with extended family groups. 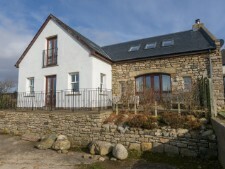 All four properties offer a comfortable, well-equipped and secluded base for your Arran holiday. Lighthouses, the largest property, is an architect designed conversion and extension of the farm's former stables and byre, named for the distinctive lights which dot the horizon at night. 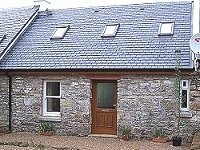 The Blacksmith's Bothy is new-built on the footprint of the old farm smithy, while the Hayshed and Ploughman's Bothy have been converted to a high standard, with names indicative of their former agricultural use. A dog companion is welcome in the Ploughman’s Bothy and Lighthouses, by prior arrangement at the time of booking. The traditional exterior of Lighthouses belies a modern open plan interior layout which takes full advantage of stunning, far reaching views and provides a luxurious base for your holiday, with warm water underfloor heating throughout, three bathrooms complete with Mira power showers and a fully fitted kitchen opening onto the dining area. The smaller cottages are broadly similar in internal layout and dimensions, with open-plan ground floors and an attractive spiral staircase to the upper bedrooms. The Hayshed (with the gable end) is modern and light in décor and furnishings, while the adjacent Ploughman’s Bothy, with its dark leather furniture and original stone end-wall with fireplace, has a more traditional feel; the new Blacksmith’s Bothy, detached and fitted throughout in oak, has left its namesake far behind in terms of style and comfort! cottages never ceases to fascinate – there’s always something to catch and hold the eye.